This magnificent stone-faced property, styled in an old world Italian Tuscan feel, features an expansive main home and a closely situated carriage house with guest apartment. The traditionally styled and highly crafted stone and wooden features in this estate are breathtaking. 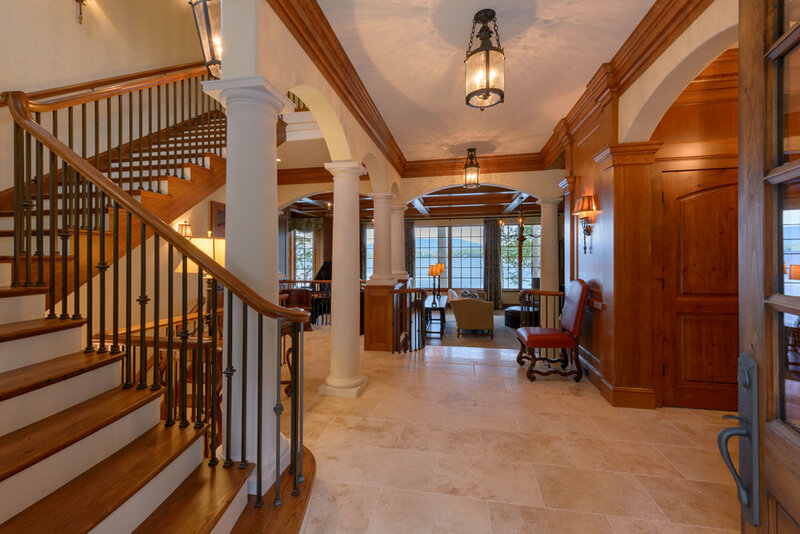 Every detail in this grand home has been carefully designed and crafted inside and out, down to the cleverly designed peak-through wine cellar. 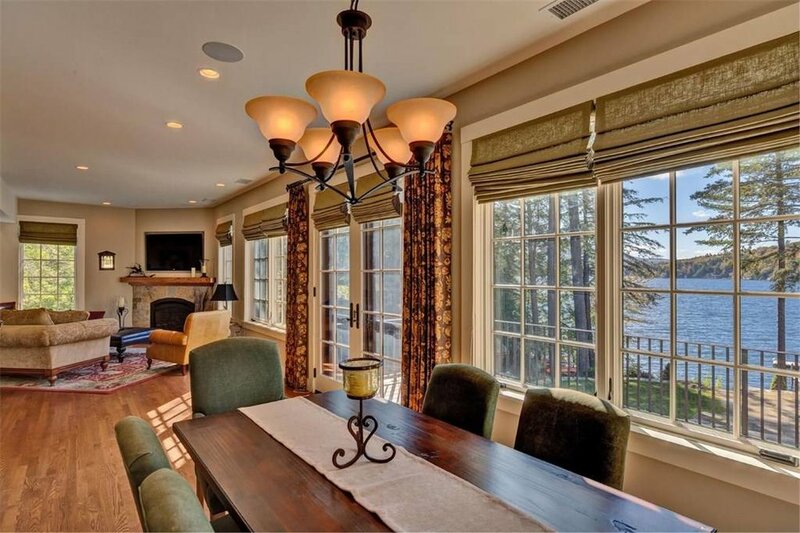 The floor plan takes full advantage of the long lake views with virtually every room boasting magnificent lake vistas. 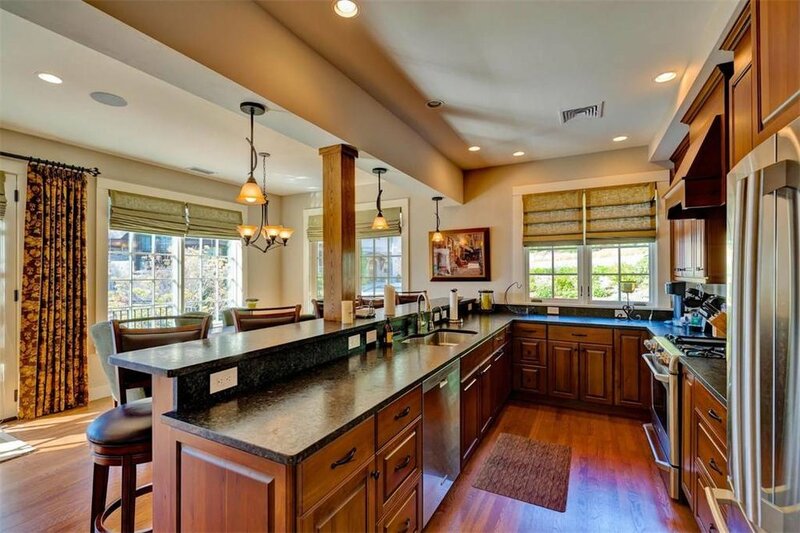 Outdoor living spaces pepper the property with outdoor firepits, cozy sitting areas, and a fully appointed outdoor kitchen with grill, ovens, refrigerator, and cooktop.